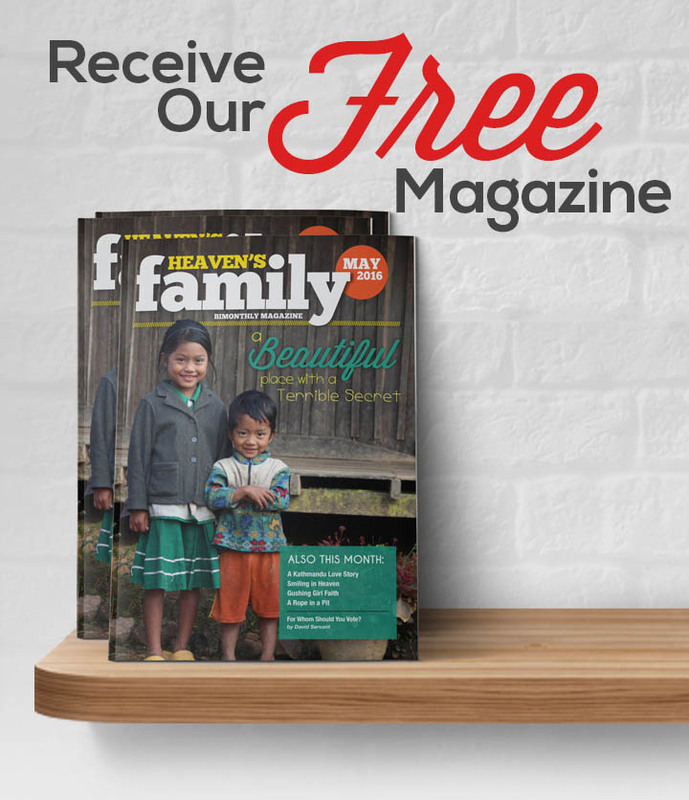 If you’ve been a friend of Heaven’s Family for more than a year, you’ve probably noticed that this year we began sending, every fourth month, letters like this one instead of our monthly magazine. I’ve really appreciated these opportunities to personally communicate with you about one special pressing need. Let me tell you about another wonderful opportunity to be a blessing, show Jesus how much you love Him, and lay up treasure in heaven in the process. Earlier this year when I was in Kenya, I met a saint of whom the world is not worthy. She’s an effervescent little American lady named Cindi Murphy. 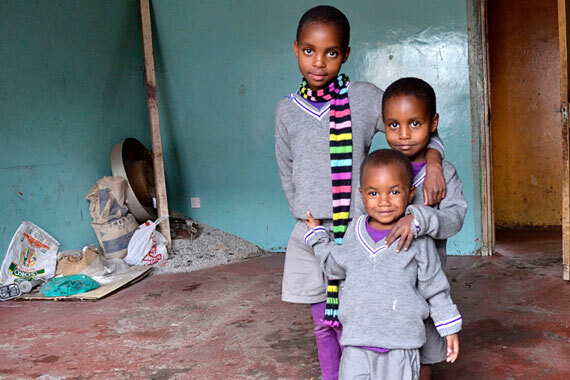 Cindi rescues abused and abandoned children from Kenya’s slums. They live with her, her missionary-dentist husband, and her dedicated staff in a safe compound, appropriately named Cindi’s Hope, in the middle of an impoverished immigrant suburb of Nairobi. To visit Cindi’s Hope is to cry two kinds of tears. When you meet the children and learn some of their heart-breaking stories, you can’t help but cry for what they’ve endured. Like 3-year-old Stella (pictured above), whose alcoholic mother literally cooked her in a large pot at age 2 to “get revenge” at the government official who warned her that she might be prosecuted for child abuse. Stella has burn scars covering her entire back and buttocks. Or like 4-year-old James, who was living in the streets, scavenging from garbage to survive. When Cindi gave him deworming medication, he passed round worms that were 15 inches long and engorged with his blood. It took a week of medication for James to be fully dewormed. 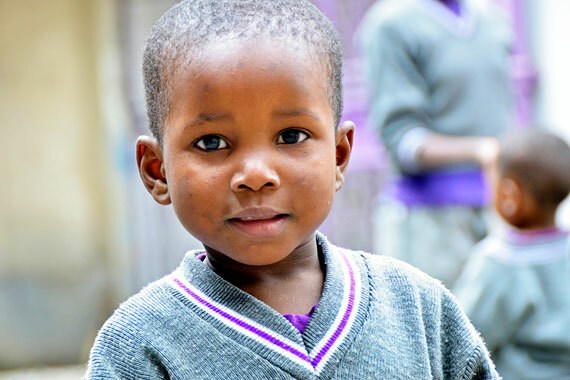 When you watch those very same children, however, learning at Cindi’s school, laughing and playing in the courtyard, enjoying a nutritious meal, or singing to the Lord, it is difficult to hold back tears of joy. It is a beautiful picture of redemption. All together, Cindi cares for 105 children in two locations, and Heaven’s Family has been blessed to assist her in various ways, such as paying staff salaries and providing bunk beds and school uniforms. But there is much more that needs to be done. So I asked Cindi to send me a list of her greatest immediate needs. I also asked her to tell me what we could do to help Cindi’s Hope attain self-sufficiency. Cindi told me that the food budget is always hanging over her head. It takes $2,500 each month to feed 105 children. She also told me about the need for school supplies, desk chairs and dorm renovation. I was also happy to learn that Cindi’s ministry owns 20 acres of farmland about 2 hours outside of Nairobi. Cindi needs a water well, however, for both crop irrigation and fish ponds. (Already-dug and lined fish ponds are waiting for water and fingerlings.) Cindi also needs a drip irrigation system and a tractor. And she would love to have some milk cows and bee hives. Everything on Cindi’s list totaled about $30,000. I know that amount may seem like a mountain, but when everyone helps, mountains move! In this case, $24 can feed one child for a month. Gifts to our Victims of Sexual Violence Fund will help to meet pressing needs at Cindi’s Hope as well as similar needs around the world. We love to serve you as you serve the “least of these.” Thanks so much.